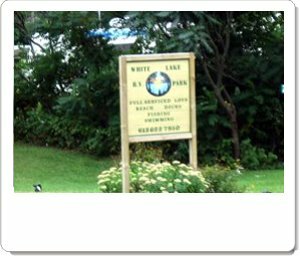 White Lake has a wide variety of ways for you to enjoy activities for the day, weekend and longer. 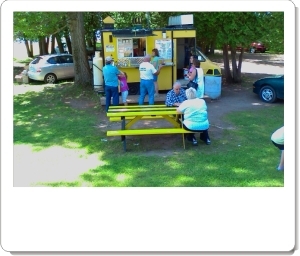 Features: serviced trailer sites, cottage rentals, boat docking and launch, boat rental, sandy beach, swimming pool, washrooms, children's playground, bingo, horseshoes, volleyball, baseball, darts, propane refill, planned activities. Pets are welcome. 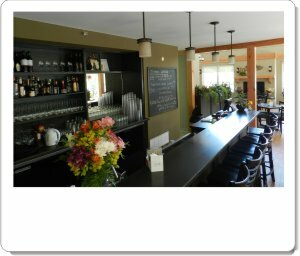 We invite you to experience the newly remodeled and expanded Lakeside Bar & Grill. 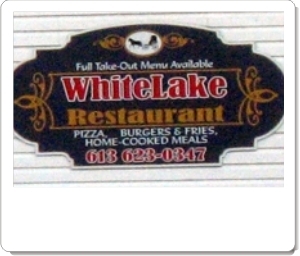 Experience the finest cuisine while taking in the panoramic views of White Lake. Whether it's a casual lunch or succulent dinner, our chefs won't disappoint. 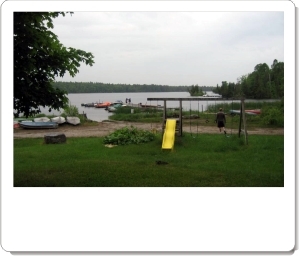 Features: serviced trailer sites, cottage rentals, boat docking and launch, boat rental, sandy beach, washrooms, children's playground, and snack bar. 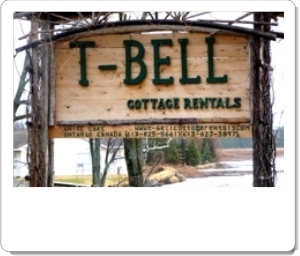 Features: cottage rentals, boat docking and launch, boat rental, sandy beach, children's playground, billiards, darts, volleyball, horseshoes, individual fire pits and complimentary firewood. No pets. Making memories of a lifetime! 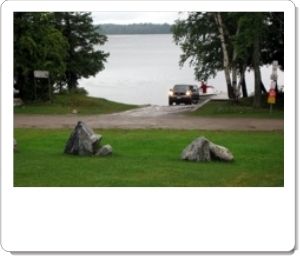 White Lake Private Resort is a beautiful resort within an hour from Ottawa. The resort is designed to accommodate groups and gatherings from a minimum of 22 to 35 people for an overnight stay. The resort is a private compound exclusively reserved for your group only! 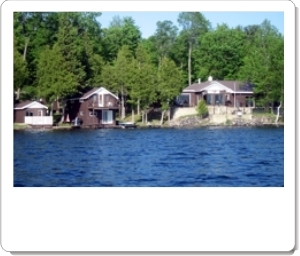 Our cottages and lodge are nestled along breath taking shorefront overlooking our pristine lake. The beautiful view makes for a unique nature event. Enjoy the serenity of the amazing sounds of the loons, while overlooking the lake and the magnificent view in the distance. We have all the amenities to provide your gathering. Full equipped! The property can also fit 50 - 100 people for a single day or evening event for a fun filled get away, celebration or corporate event. City life getting you down? When was the last time you hung a hammock and just listened to the trees, heard the birds sing and left your cellphone off? Well, it's time for you to leave the hustle and bustle of the big city and go camping. It's time for you to listen to the crickets, swat at some mosquitoes while gazing up at the stars. It's camping time and Three Mile Bay Tent and Trailer Park is the perfect place for you to just forget your worries and just relax in a beautiful, peaceful place. 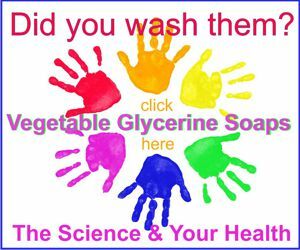 Clean, quiet and friendly. Owners Dianne and Lori are the nicest and most helpful people you could ever wish to meet. Very direct access from the main highways. Close to White Lake Village and Waba Museum boat launch. Open, organized and spacious. Good breeze, few mosquitos. Good swimming and room for boat docking. Seasonal lots include (3-way hook ups) power, water and sewage. No rentals or public facilities. 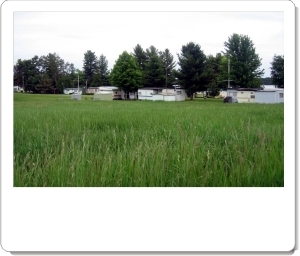 There is also a very nice mobile home community attached to the property. 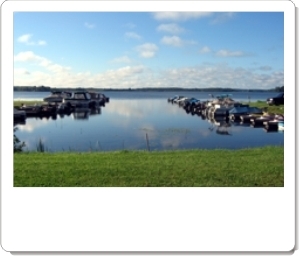 White Lake RV Park offers seasonal camping with three way hookups (power, water, sewage). 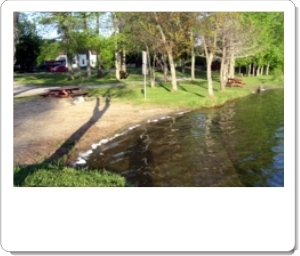 It is a well run, friendly, family oriented park with access to boat docks and excellent swimming and fishing. 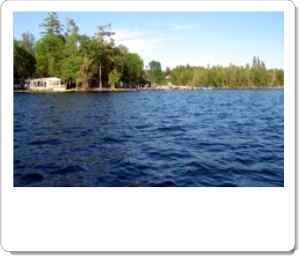 It has a ideal location and is close to White Lake Village and Waba Museum and Gardens and boat launch. 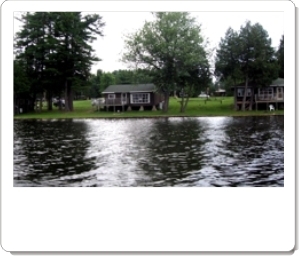 Quiet, private park with waterfront trailers and boat docks. Running water via sand point well (water is very clean, has no odor and is not hard). 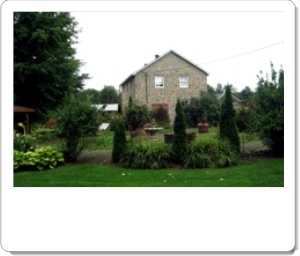 Also has Septic system and out-house. If you treasure the calm tranquility of nature, this is it. The list of things to do is endless. A game of horseshoes, some quiet time with your fishing rod, playing at the beach, a nature hike, or an evening sing-along around the campfire. Should the “need for speed” suddenly overwhelm you, activities like launching your motor boat, water-skiing, ATVing, dirt biking are all available in 5 minutes, with easy access to White Lake. We offer oversized seasonal campsites equipped for Park model RVs, as well as 2 comfortable, private cottages available for shorter visits. Across from the General Store, featuring excellent Pizzas, Burgers, Fries, Home-cooked meals, eat-in and full take-out available from early morning to late at night. 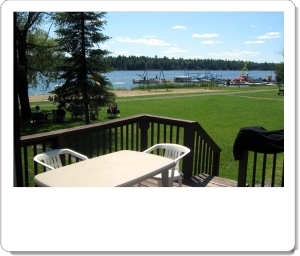 (open May - November) Just an hour west of Ottawa, nestled along the shores of beautiful White Lake, you will find 82 acres of fun at Cedar Cove Resort. Look for the red chip truck at the beach. So if you crave some quick carbs and a snack, this should satisfy your cravings. Bayview, Cedar Cove, Pickerel Bay and the Marina also all have fuel and a selection of food and supplies. Mmmmmm beer. 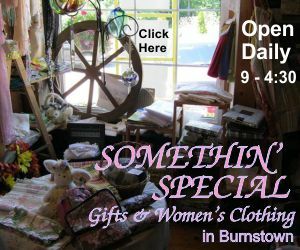 Hours are approximately 8 am to 8 pm 7 days a week (including national holidays, wow, but please check the hours posted on the door to be sure). You can find beer stores in Arnprior and Renfrew if you want, but the General Store has the same prices and selection, and location, location, location. They also take back empties for your deposit. Liquor and Beer, Gas and Groceries, Post office, Lottery, Farm Supply, Clothing, Movie Rental, Grocery, Propane Exchange Facility, Deli Area, Hunting, Fishing supplies and license for MNR, Gift items, Cards, Newspapers, and Maps. 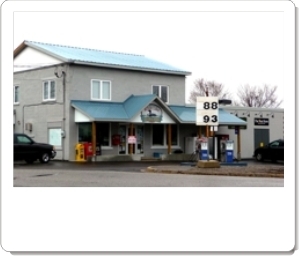 Fuel is available at the White Lake Village General Store and at the lakeside resorts and marina. Remember to have your Boaters Card, and bring it with you if you want to rent a boat. You may be able to rent a boat without it, but it is up to the resorts to decide how they wish to enforcing this, so you may wish to ask before you arrive. Contact Pete and Andra to find out all about their great products (boats, motors, fuel & supplies) and services (repairs, storage, rentals and much more), check out their website for complete info. They've opened a bait and tackle section for all your fishing needs. A quick and easy launching point. It is a very direct and fast drive from all points. There are no services on-site (bait, fuel, etc), but if you have your own boat, trailer and want to launch and park for free, this is your best choice. As well you can take a moment and visit the historic Waba cottages and gardens, and there is a modern bathroom facility (in the old general store building on the side during museum hours). 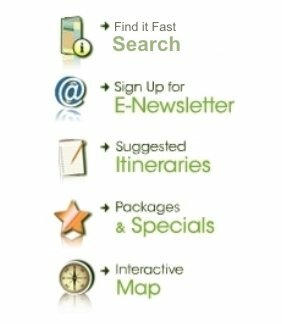 If you require full services, you can launch from here and then stop by one of the resorts or marina (see the maps for directions), or simply launch from the resort or marina instead (fees apply). 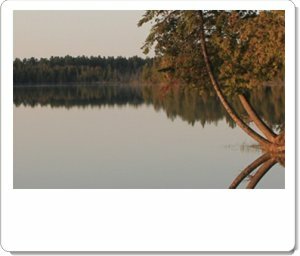 There is also a municipal boat launch at the far South end of the Lake if you are traveling to White Lake from that direction and wish to launch there. There is a well marked naturally forming ice bridge route from Cedar Cove Resort to the White Lake Marina. It is 12Km, and takes about 20 min. traveling between 30 - 50 Km/hr. 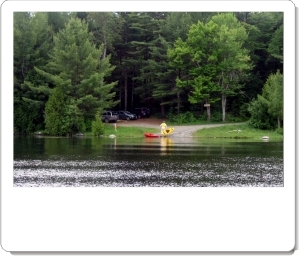 Safety should always be a concern, so be aware of your surroundings and others using the lake. 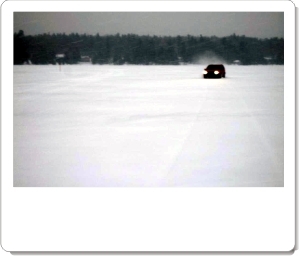 If possible travel during the daylight and watch out for snowdrifts.